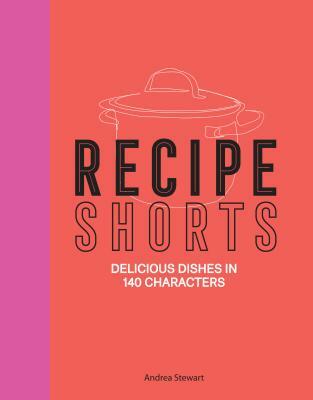 Recipe Shorts brings new ideas into your kitchen, showing just how easy cooking can be. Every recipe is written within 140 characters; they are short and simple, but bursting with flavor - using a few ingredients that together create stunning results. With chapters including Breakfast and Brunch, Soups and Salads, Superfast Suppers, and Easy Entertaining, the book is packed full of brilliantly succinct dishes such as Jeweled Freekeh, Parsley Pesto Pasta, Meatball Pho, Asparagus Bundles, and Brown Sugar Tarts. You will be amazed how much information can be conveyed in so few words. Whether you are cooking for one, two, or a crowd, getting delicious food on the table has never been so hassle-free, so get inspired and enjoy.